HESTEC Community Day is the last day of the HESTEC (Hispanic Engineering Science and Technology) week long Celebration. It is an opportunity in which the University of Texas Rio Grande Valley hosts a conference that features exciting events focusing on science, technology, engineering and mathematics. Throughout the week there are several different events, highlighting many of the special student projects and other exhibits. I was unable to attend any of the events due to work, but going off their social media they all seemed very interesting. The HESTEC Community Day is when it all wraps up, with several of the college clubs manning a booth with either games/food/snacks etc, plenty of family oriented activities and can’t forget the music. 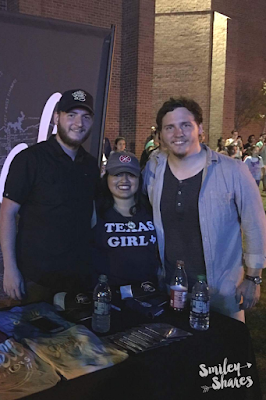 Community Day may be the ending of this Celebration, but it is only the beginning of this weeks’s Texas Music Thursday. 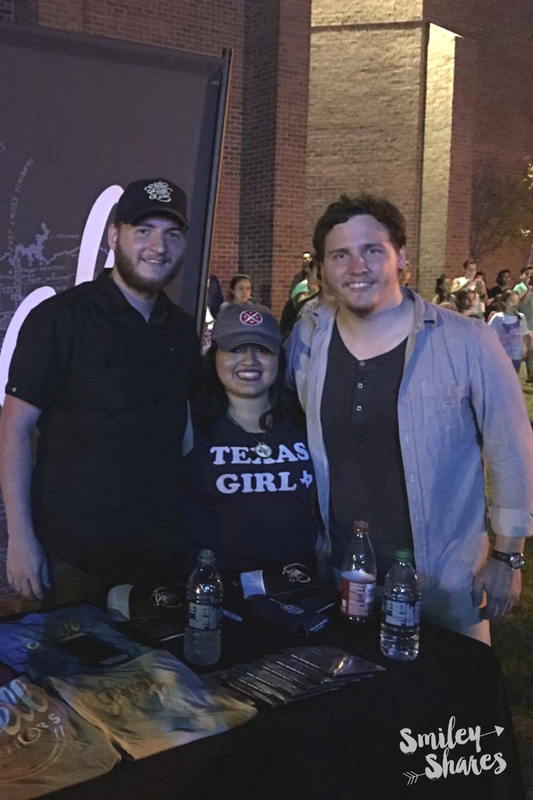 One of the reasons I decided to attend Community Day was because of the scheduled entertainment, this included Houston (My Hometown) Texas Country Band, “The Powell Brothers”. Prior to this I had heard very little of them. Which is why, I did a bit of research about the band, listened to their songs and watched a couple of their Youtube videos, before the show, wanted to have an idea of what to expect at the show. Here is what I found out, the brothers, Blake and Taylor began their musical careers as a backing band in 2006, this was before they even graduation High School! They sound kind of cool so far, well afterwards they attended Berklee School of Music, during this time they had the opportunity to really grow and explore different musical projects, such as being songwriters, producers, music directors. Their music has been played in different media forms, from TV Shows, movies, until 2014. Sometime between 2014-2015, they decided that instead of parting ways, they needed to stay united and form what we would now known as “The Powell Brothers”. And just like that, I was intrigued. I arrived early to the event and the Navy Band Southeast was keeping everybody entertained with a full of energy performance. Once their set ended, all of the young audience members began to get antsy; they were waiting for the arrival of Mrs. Sabrina Carpenter (Maya Hart from Girl Meets World) after all (she was considered the headliner). 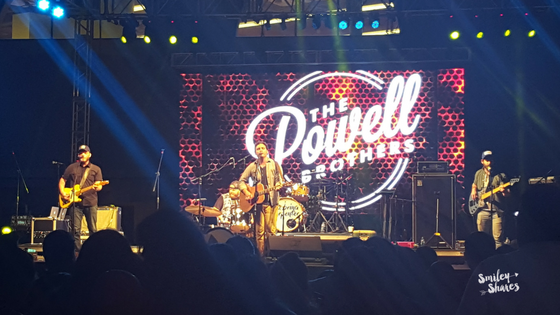 Instead, The Powell Brothers took the stage. Considering that there were a lot of families, I was anticipating some complaints, since it wasn’t the young superstar, instead I saw everyone enjoying the show that was just starting. From the beginning the Powell Brothers demonstrated their ability to captivate an audience, people began to clap and sway along to the rhythm of “No More”. They kept that same enthusiasm throughout their first couple of songs, all of which were originals. Personally, I thought it was bit risky considering that they were playing to a crowd that for the most part didn’t know who they were, but the people kept dancing, and enjoying themselves. However, what really kicked it off was when they covered a George Jones favorite “Love Bug”, which was enjoyed by everyone, and honestly how couldn’t it? They added their own rocking twist to it and everyone seemed to have fun listening to it. There was a bit of change of pace, with their song “4 Wheel Hotel” a song that focuses on the less glamorous part of the life of an artist, and although slower paced, the energy isn’t lost.Their set continued with a mixture of originals and a cover here and there, each song being a great combination of rock, country and blues, their songs highlight their strengths as musicians and also bring the wonderful harmonies to focus. Those that were antsy a couple of songs earlier were now dancing nonstop enjoying every bit of the show. As band Taylor Powell (Lead Vocals/ Acoustic), Blake Powell (Electric/Background Vocals), Joseph Daniel (Bass/Background Vocals), Mike Smith (Drums) are a combination of talented musicians that are able to transmit their passion to their listeners, and as listeners that is exactly what we want. and getting to know both Brothers Blake and Taylor Powell. The Powell Brothers are definitely a band I will continue to keep my eyes on, they left a lasting good impression on me. They took a risk, that paid off, people are now aware of who the Powell Brothers are, and just how amazing their shows can be. Now knowing just how dynamic of show they put on, I would like to see them perform more acoustic songs in their shows or simply just see them in an intimate performance. I say this because when I was doing my research (YouTube watching) I saw some of their acoustic performances and really loved the stripped down version of some of the songs they played during their set, and would like to compare and see which version I liked the best. Although, I understand that that probably wouldnt have worked for a big crowd as the one they had that day. As always, I would like to remind you to listen to the band and let me know what you think of them. I know they are currently working on their upcoming album, that won’t be released until next year, but make sure you follow them on social media as they occasional share videos from their shows, and you get a taste for what it is to come. Also, Four Wheel Hotel is out on the radio now, if you like it, be sure to request it.